Owl Coven are a doom/sludge metal band from France and this is their debut EP. There may only be two tracks on Owl Coven’s debut release, but that actually means 24 minutes of material for us to enjoy, and enjoy we do. 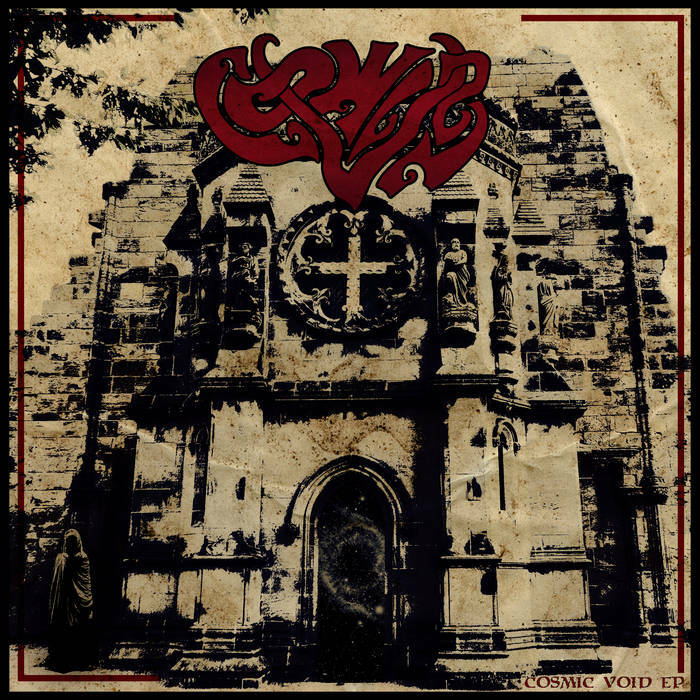 This is doom metal with plenty of sludge metal elements thrown in to keep things heavy and dirty, as well as a psychedelic influence for added depth and trippy vibes. Bleak, cruel vocals are used as filth-caked weapons for the songs, and the overall feel of the music is of something old and monolithic that’s been awakened to destroy us all. Most of the music is just as dirt-covered as the harsh singing, with the main exception coming in the form of some of the quite hot guitar melodies and solos that are used; these don’t sound out of place at all though. I like music that offers a good deal of slow and crushing punishment, and Cosmic Void delivers. I also like music that can pick up the tempo a bit when it needs to and get you moving with a combination of choice riffs and heavy groove, and Cosmic Void delivers. You probably also want some grim, sinister atmosphere too, with the band setting some dark and unsettling tones. Well, Cosmic Void Delivers. What about some 70s-influenced psychedelia and tripped-out vibes to add to and enhance everything else? Yep, you guessed it – Cosmic Void Delivers. If you take all of this together, then this makes for a very engaging and enjoyable couple of tracks. They build atmosphere with ease, and mix in the various doom/sludge aspects together so flawlessly that you’ll be crying out for more material. I could easily imagine another two or three similarly epic length songs being added to this and a sterling full-length made. We can only hope. This entry was posted in Doom and tagged Doom, Doom Metal, Metal, Owl Coven, Sludge, Sludge metal. Bookmark the permalink. I like this. I was getting an 80’s Metallica feel to the song at the start, then it morphed into something darker. The guitarist has a wide range going on here and I love it. There is a compliation download on Transylvania Tapes bandcamp and this band is included on it.